Emperor Hirohito, who is posthumously known as Emperor Showa, had a procession of public images during his long reign from 1926 to 1989 — though none were quite accurate. There was the pre-1945 Emperor — stern and remote on his white horse — who was viewed as a living god by the Japanese masses and leader of the Japanese war machine by his enemies abroad. After World War II, Emperor Showa transformed into the constitutional symbol of a new, more democratic Japan, who attended faithfully to his endless ceremonial duties while diligently studying marine biology. 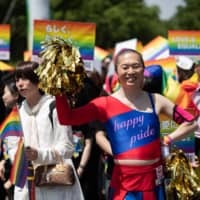 In his later years, especially to younger Japanese with no experience of the war, he became an eccentric grandfather figure enjoying himself at Disneyland and waving to the crowds at New Year’s celebrations. Masato Harada’s “Nihon no Ichiban Nagai Hi” (“The Emperor in August”), released almost a week before the 70th anniversary of the end of the war, presents an entirely different image of Emperor Showa based on the writings of historian Kazutoshi Hando and Harada’s own research. In the desperate days of August 1945, this Emperor (Masahiro Motoki) plays a key role in bringing the war to an end, even as young military hotheads mount a coup to thwart his Aug. 15 surrender announcement and fight the American invaders on home soil. Kihachi Okamoto made a film with the same Japanese title in 1967 (released internationally as “Japan’s Longest Day”) that was also based on a book written by Hando (but published under the name of well-known social critic and journalist Soichi Oya as “editor”). At a multiplex in Tokyo where Harada’s new version was scheduled to open on Aug. 8, I asked him why he felt compelled to remake it. Another reason for a remake, Harada adds, was that new research had been published since the ’67 film, including a book by Hando titled “Seidan: Tenno to Suzuki Kantaro” (“Imperial Decision: The Emperor and Kantaro Suzuki”) that focuses on Emperor Showa’s decision to accept the surrender conditions laid down by the Potsdam Declaration of July 26, 1945. In Harada’s film this decision is not immediately approved. The Big Six are deeply divided over the surrender question, with Suzuki (Tsutomu Yamazaki) firmly in the peace camp and Imperial loyalist Anami (Koji Yakusho) among the bitter-enders. But seeing Emperor Showa’s strong desire for peace, Anami changes his mind. With the backing of Suzuki and Anami, the Emperor feels emboldened to announce his decision for peace to the Imperial Council. But if Emperor Showa had truly wanted peace, his critics ask, why didn’t he issue a similar Imperial decision before Japan attacked Pearl Harbor? Harada counters that the Emperor lacked supporters in 1941, but found them by 1945 in Suzuki and Anami. 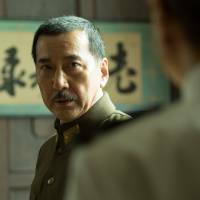 What finally motivated Harada to remake “Japan’s Longest Day,” however, was “The Sun,” Aleksandr Sokurov’s 2006 drama about Emperor Hirohito in the concluding days of the war. Harada saw the film at a theater in Ginza, a venue chosen “because the distributor was afraid of right-wing attacks,” he says. “It was the first time for Japanese to see the Emperor as a leading character,” he adds. 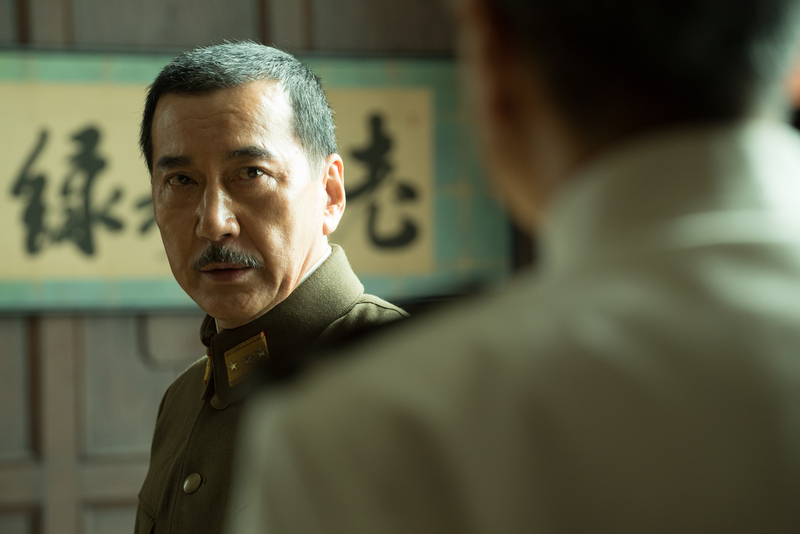 While praising veteran character actor Issey Ogata’s performance as Emperor Showa as “a courageous effort,” Harada says he also found it frustrating. Harada wanted to film an Emperor who was truer to life. 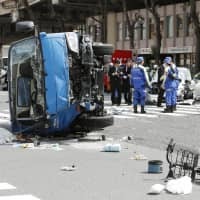 At the same time, couldn’t Motoki’s youthful Emperor, as well as Tori Matsuzaka’s fiery Maj. Kenji Hatanaka, who leads the failed coup, become inspirations to the same flag-waving neo-nationalists who long for the militarized, Emperor-worshipping Japan of old? Harada’s hopes “The Emperor in August” becomes a success not only because it would be good for his bank account and distributors’ bottom lines. He confesses, though, that he did not want to risk upsetting right-wingers by depicting Emperor Showa’s vexed relationship with his mother, Dowager Empress Teimei.